Last week saw the highly anticipated return of Karim Sattar to Dublin. 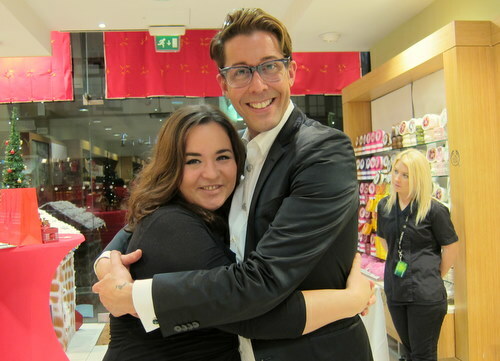 The Body Shop’s charismatic international makeup artist is a smash hit on Irish shores and it seems it’s mutual; he tells us Ireland is his favourite European place to visit. The charmer! Karim was in town to launch The Body Shop’s new Winter Trend makeup collection, the limited edition Smoke & Sparkle range, comprising everything you need for an on-trend seasonal look with high-quality Community Fair Trade ingredients. 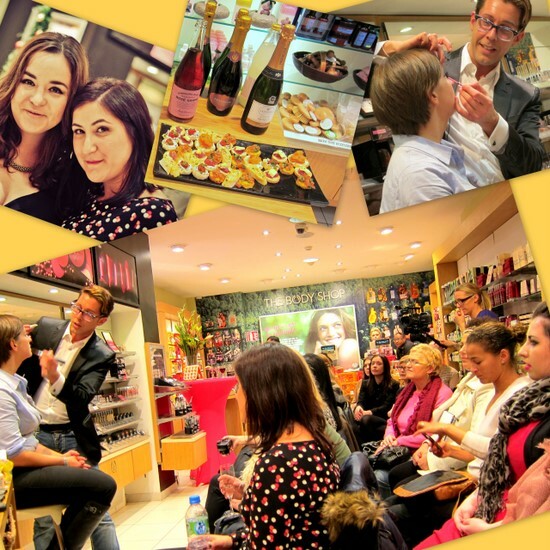 From top left: Fluff and Fripperies with Lee from Mwah.ie; prosecco and canapes at the event; Karim in action; rapt beauty bloggers and writers! The smash hits from last year’s winter range were the glitter eyeliners and The Sparkler, a boudoir chic atomiser spray in a pale glittery pink. This year it’s joined by The Sparkler in Enchanting Gold (€19.95) so, whether your preference is for warm or cool tones, there’s a sparkler to suit! Not sure if you’re a warm or a cool kinda gal? Check your jewellery – if you wear mostly gold, you’re warm, and silvers mean your preference is for cooler tones. Wear both and you’re neutral, so anything goes! Golden Brown eyeshadow set pictured with The Sparkler in Enchanting Gold and 2 of the 4 glosses from the mini gloss set. This little spot test should help you decide between the two gorgeous eyeshadow sets on offer as part of the range: Silver Black and Golden Brown (€23.95) both contain 4 shadows, 2 powder and 2 cream, along with a mini fluffy brush and eye pencil. Combining cream and shadow formulations is the key to a longlasting smoky eye and brush quality, Karim assures us, is as high as the brand’s regular range. An adorable set of 4 high-shine mini lip glosses(€17.50), designed to be hung from your Christmas tree, rounds out the collection. We were also introduced to the brand's festive gift ranges which include the delicious sounding Candied Ginger and Cranberry Joy ranges, pictured below. Spiced Vanilla is also on offer. 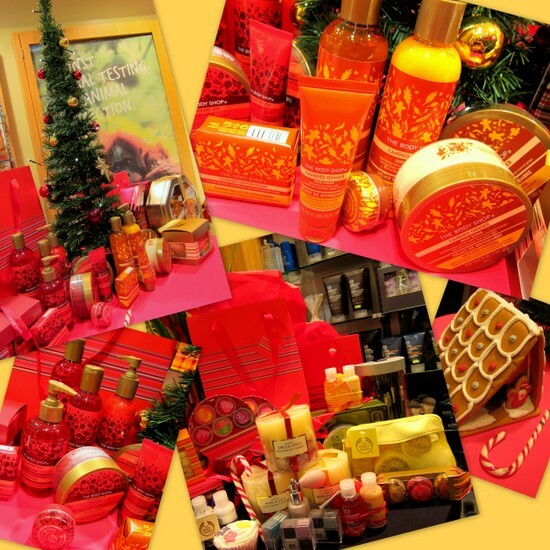 The Body Shop Smoke & Sparkle collection is in-store now. And have you entered my giveaway to win 3 gorgeous products from The Body Shop? What are you waiting for?! Love this blog! Problem is I want everything I read about heheh! Lovely post Emma - nice to see some pics of you too !! The eyeshadow palette looks very Chanel to me! I use alot of bodyshop body and face moisturisers, however I never think of going to the bodyshop for makeup. Will definitely pop in and look at their range.